The Moto G6 Plus will pick up from where its predecessor, the G5 Plus, left off. We're massive fans of the G5 Plus and the G6 Plus looks to build on the things it did well. The G6 Plus will sport an 18:9 display, dual rear cameras, and a metal and glass body. A few weeks ago, details of Motorola's lineup for the year leaked. Like most early leaks, though, it would have been a bit foolhardy to trust every single detail. 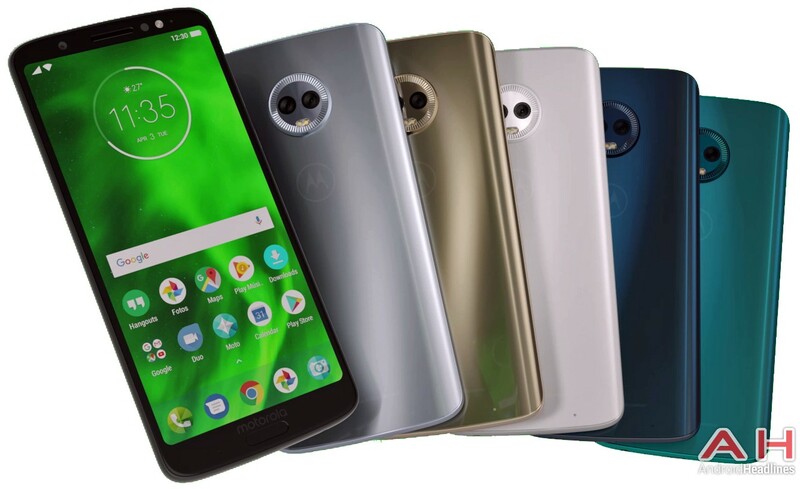 An exclusive by AndroidHeadlines, however, has thrown a bit more light on the upcoming Moto G6 Plus—and most of the details here actually correspond to what we saw on the earlier leak. According to the report, the Moto G6 Plus will make a few improvements on its predecessor, the Moto G5 Plus. The G5 Plus was one of our picks for best budget value device of 2017, so we have high hopes for its successor. The G6 Plus will join the legion of 18:9 devices, which should give it a better design factor over the G5 Plus. It will, in fact, look quite similar to the Moto X4—it will sport a metal and glass body, and a similar camera design. There are no mentions of the display size but the G5 Plus sported a 5.5-inch 16:9 display, so we expect the G6 Plus to go with something in the 5.9-inch range. The G6 Plus will feature dual rear cameras, and reports claim it will be a 12 MP + 5 MP setup. It will house a front-facing fingerprint reader, with a Motorola branding just above the sensor. That looks a tad clunky, we would say. Under the hood, the device will be powered by a Snapdragon 630, and will get its juice from a 3250 mAh battery. It is expected to run on Android Oreo out of the box. There are currently no details pertaining to the type of USB port the device will feature, or if it will support NFC, but we'll be sure to keep you updated. We won't have to wait much longer, in any case, as an MWC unveil is expected.